'Ach! 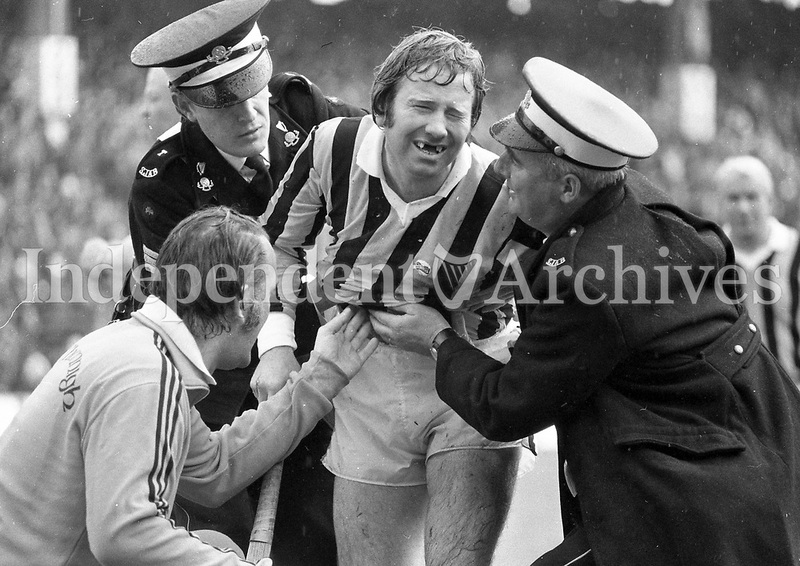 the agony of it' - Kilkenny goalkeeper Noel Skehan grimaces in pain as he receives treatment for an injury he received during a Limerick onslaught on his goal during the first half of the All-Ireland Hurling Final in Croke Park. Noel, however, though he received further knocks during the game, played his usual brilliant part between the posts and made many exceptional saves.